I feel like every time I start one of these posts, I start with an apology. So, in keeping with tradition, I’m sorry that I haven’t been as present on this blog (and this website) as I should be. Life has gotten crazy, y’all. Like turned upside down crazy. But that being said, things have slowed down and I’ve finally been able to spend some time with my first love. To recap, here are the massive life changes I’ve experienced in the last year: 1) I started a new full-time job last October, which meant I had to become a part-time writer, sort of, 2) I got engaged last December, 3) My fiance and I bought a house in April, 4) We got a puppy in September, and 5) I started another new job in October (same boss, long story). During all this, I had been chugging along slowly but surely on a new book. Somewhere along the way, the train went off the track, so to speak. It was taking me months, literal months, to finish one chapter. At first, I put all the blame where one usually does when the creative juices stop flowing: real life had just gotten in the way. It will just take time, I kept telling myself. Some progress is better than no progress, I said in hushed whispers, desperately clutching my coffee cup and and patting my cat on my lap. While those things are true, I was also ignoring a massive problem: I just wasn’t that into my new book. My mom loved it, sure, but she’s my mom. Of course she was going to find the diamond in the rough. But for me, I think I was just trying to do too many things at once with too little time to really dig in and explore it. When you have only a few spare hours on the weekend, if you’re lucky, to devote to a book, less is more and then some. About a month ago, I realized that eight chapters in almost a year was probably a symptom of something else, so I made a deal with myself. If I could finish my outline over the course of a week, and feel good about that outline, I would soldier on and keep at it. So I sat down and tried to finish the outline. I must’ve sat at my computer for an entire ten minutes with my cursor pulsing, daring me to do what I’d known for awhile now, but couldn’t admit. I just couldn’t come up with anything. By that point, it was easy to walk away from about ten months of work because I knew it just wasn’t going anywhere. When I taught creative writing in my past life, I also used to preach that the biggest cardinal sin a writer can commit is writing without a net, aka a solid outline. In those ten months I spent tooling out only eight chapters, I realized I’d done exactly what I always taught my students not to do. It was horrifying. It was depressing. But it was freeing at the same time because I could let go knowing that I didn’t have a plan and probably wasn’t going to ever have one. And that’s okay because it just wasn’t working. So now, as we approach the craziness of the holidays, I feel renewed. There was a plot sitting on the cluttered desk in my mind, and I’m going to let it run wild. There are some ideas there that I’m really excited about, but as I always told my students, ideas aren’t enough. You need a plan. You need a net. You need an outline, otherwise you won’t finish. 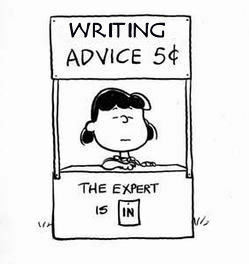 I learned that lesson the hard way, and in doing so, I found my writing mojo again. My passion for new and breathing characters. That thrill of flying headfirst into the unknown is back and I can’t wait to see where it takes me. I’m finally going to take my own advice, and I’m starting slow this time. I have a solid character sketch, and am working toward a workable, flexible outline that is exactly what I was missing before. I’m looking forward to being a more active participant with this blog and with my writing. I’m looking forward to my next, currently untitled book. And for the first time since I left teaching, I’m so, so grateful for the advice I used to dole out in spades because now I see how true it was. Next Character Sketches. Do Them.